It’s that time of year again, when we need to thin out our overflowing bargain section! 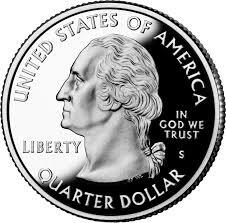 Each item in the bargain section will be a quarter (25¢). This includes about 6,000 books from the topics of math, science, history/geography, language arts, readers, Bible, homeschool helps, and old edition BJU and Abeka. The store will be open Tuesday and Wednesday, April 21 and 22, from noon to six pm. In case this helps for planning purposes, in previous sales early in the day is busier and more crowded than later. I take consignments year round, so feel free to bring them along. This is an excellent time to get your stuff in and on the shelf since it is the beginning of the homeschool shopping season! I’ll send out another reminder on Monday. Thanks! 2 Responses to Quarter Sale! Hello Julie, Chris here, Mom of Gideon and Candyce. I met you at the YHSA book fair @ Grace Fellowship in 2005. Gideon is in college after graduating from our homeschool last May. Candyce is in 9th. I remember your great prices, ever encouraging words and knowledge of so many different curriculum. I’m wondering if you would have any older editions of the Abeka literature, the 10th, 11th and 12 grade ones. American, English and World. Also, any Math ideas for one more geared for consumer Math or accounting, not ALgebra, trig or the like. She is currently using Consumer Math Success Kit 2nd ed by David Newton, I’ll need something for 10gr and up! Anything else for her interests in songwriting, cross stitch and Australian Cattle Dogs, Blue Heelers?? I’d certainly appreciate any help. I’d need to know cost for shipping also.